Ailsa’s wonderful travel theme this week is animals. 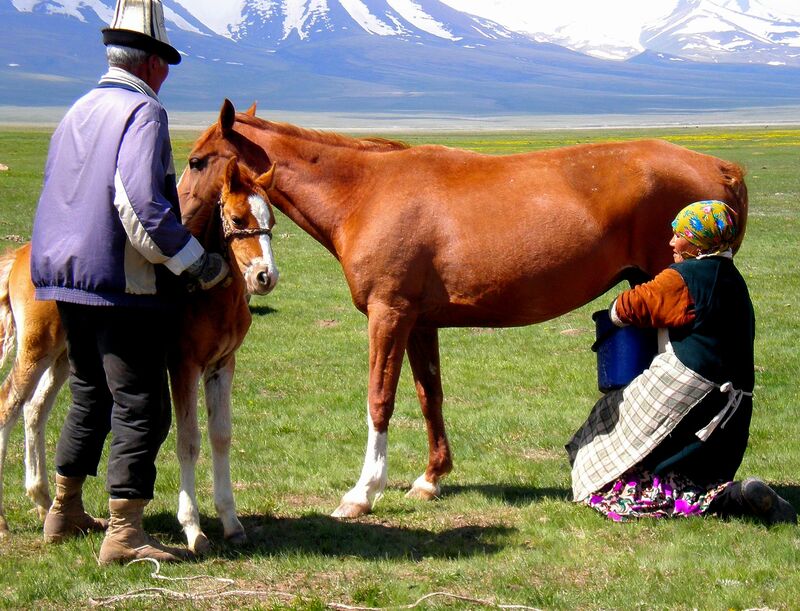 I just happen to have a couple that fit from my trip to Kyrgyzstan. These were taken at Song Kul, where they had been herded for grazing during the arid summer months. I had already used the second photograph in my post How To Milk a Mare but think it is worth posting again. So cool! I am going to be using those links to look up your adventures! Love the pic of the donkeys. Milking a mare? Who knew? Check out my post How to Milk a Mare for details. Very interesting. Thanks for checking out my site today. 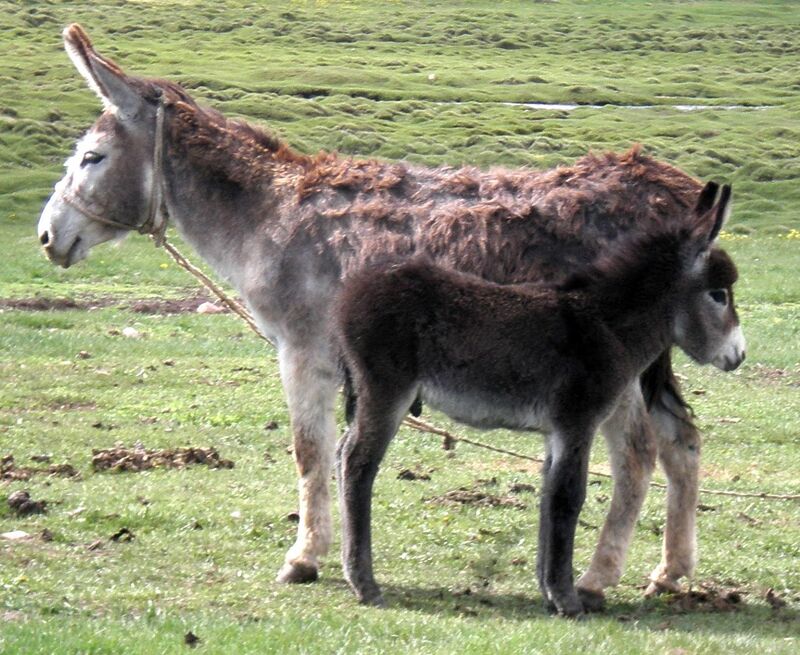 Awwwwwww – donkeys – such underrated animals. These mother and child photos are great!